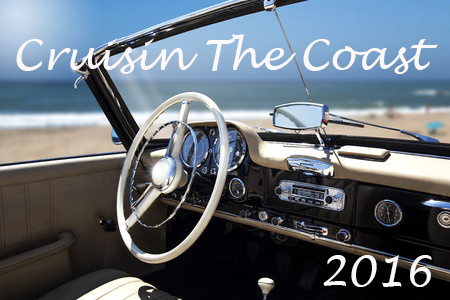 With over 7,000 registered vehicles from across the nation Cruisin' the Coast also offers live bands scattered throughout its six mini-festivals along with a three day Vicari Auto Auction in the Mississippi Coast Coliseum as well as the annual "Salute to Veterans" which will be held in the new MGM Park in Biloxi. Car enthusiasts will also enjoy attending the annual Swap Meet with some 250 vendors. The Party kicks off on Sunday October 2nd in Downtown Gulfport, MS and will run until Sunday October 9th. After a long day touring the many events of Cruisin' the Coast stop by our Margaritaville Restaurant and grab a bite to eat. You can enjoy the excitement of seeing guests scale our 48 foot Volcano Rock Climbing Wall while you are served made-to-order dishes and cocktails. Also available is The LandShark Bar & Grill for those who like to enjoy the best drink specials on the coast. LandShark is also a great place to catch the NFL Sunday Ticket with surround sound and wall to wall televisions. If you are looking for a hotel on the Gulf Coast for the Crusin the Coast event, you have come to the right place. We provide deluxe accommodations with over 370 rooms that provide a taste of a tropical paradise. Each room offers a spectacularly unique view to help relax at the end of the day with comfortable, luxurious beds to provide the rest that you expect to begin your busy day. And of course we can not forget about the kids. Our family entertainment center feauters a 48 foot Volcano Rock Climbing Wall, a Sky Trail ropes course and Sky Tykes ropes course for the youngsters in your group. A ride on the Cloud Coaster provides an exciting past time for those with a sense of adventure while others may enjoy the gaming center featuring two multi-game golf simulators.